Currently Misplaced: Trick or Treat?? A few years back while I was still living in New York, a very good friend of mine and I decided to have a scary movie night on the 30th of October... to get into the 'Halloween spirit'. 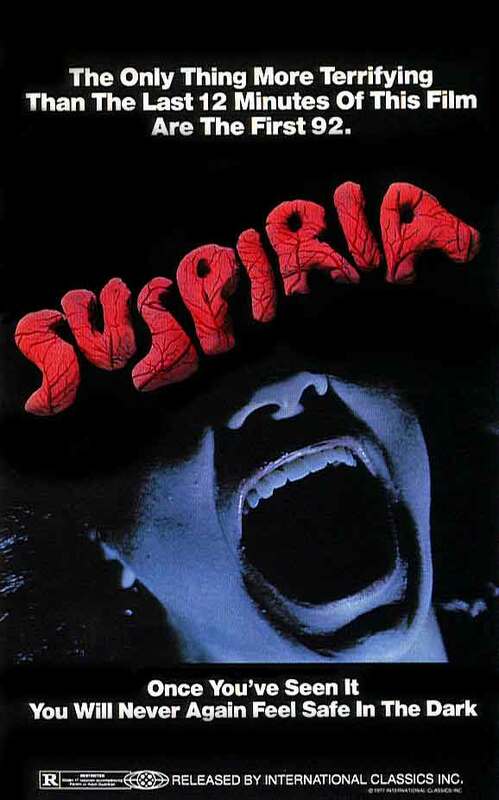 I was in charge of the movie, so I brought Suspiria (1977), a cult movie by director Dario Argento (who also directed Deep Red). It is one of the coolest scary movies that you will ever see. Trust me.... Meanwhile, my friend was in charge of the booze, so he chose to open an Absinthe bottle. A pretty scary experience in itself as it turned out. That was indeed my first and last time to drink that! ...by the way, New York is about the best place you can be for Halloween! I miss it so much this time of year. And Suspiria... if I had to describe it, it's sort of like a Sleeping Beauty on acid. Well that's my guess anyways hehe. The colors in this movie, just for starters, are insane! So rent it, buy it, or download it!